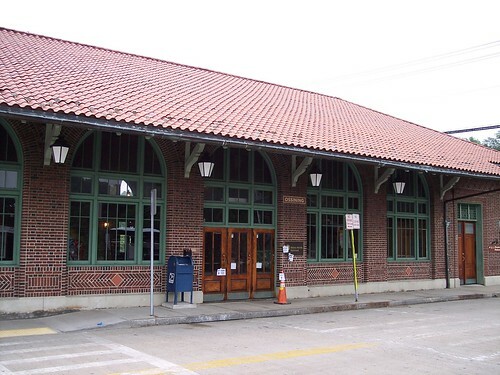 The station building sits above the tracks on an overpass. 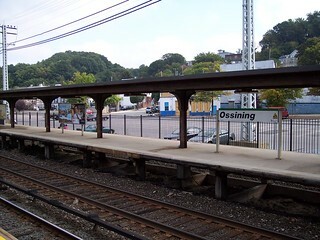 The Hudson River is visible from the Ossining station. 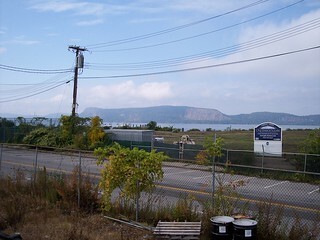 We began one of our trips to New York from here. 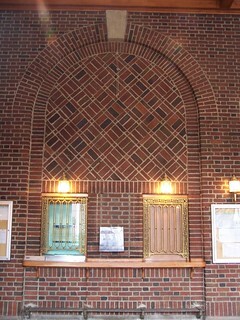 The ticket windows and brickwork inside the station.